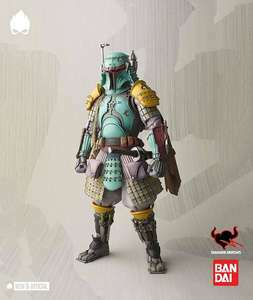 The ARTFX+ Bounty Hunter series will feature five characters: Dengar, IG-88, Bossk, 4-LOM and Zuckuss. Each statue will include a bonus part to complete a statue of Boba Fett! The 1/10 scale statues will have magnets embedded in their feet, perfect for displaying them together on the included magnetic bases.